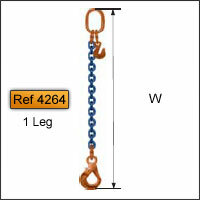 BelowTheHookWarehouse.com is the solution to your below the hook material handling needs. Ref 4263: 1 ring + 1 hook - V.A. 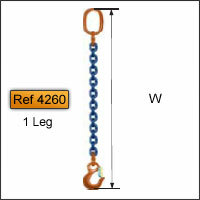 Ref 4264: adjustable to 1 ring + 1 hook - V.A. 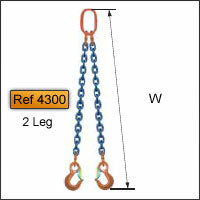 Ref 4306: adjustable to 2 hooks - V.A. Ref 4308: adjustable to 2 hooks - V.A. 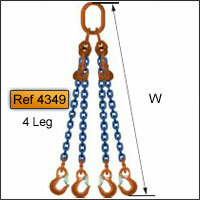 Ref 4350: adjustable 4 hooks - V.A. In your request for quote please specify the Ref. 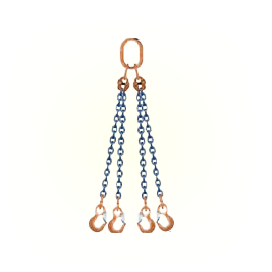 Number of the type of sling you desire from the pictures. 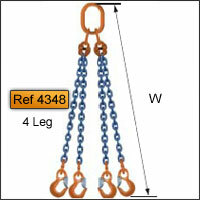 As well as the corresponding Code from the table above. 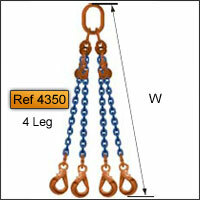 You can add as many different items to your quote as you want! 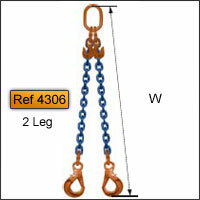 Please call us toll-free at (800) 509-6131 or send us a Request for Quote for your next below the hook purchase! 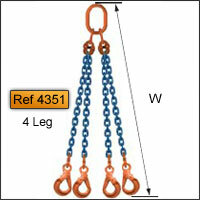 Hoosier Crane can provide web slings, chain slings and wire rope slings for all of you lifting needs. 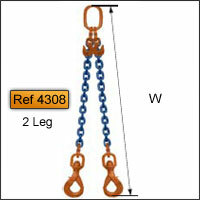 Please give us a call or email us.